GUARD GATED COMMUNITY....BEAUTIFUL TOWNHOME RIGHT BY THE GREEN VALLEY RANCH....COMMUNITY POOL & SPA....OPEN AND BRIGHT FLOOR PLAN WITH GRANITE COUNTERTOPS AND DECORATIVE BACKSPLASH IN THE KITCHEN. Lovely private peaceful yard. Recently updated Kitchen cabinets. 3 bedrooms with loft. Community Pool , Gated community. xD; xA;Beautiful flooring. Fully Finished garage. Come see this fantastic home! 2 Story Home on Premium Cul-De-Sac Lot in Gated Community! Great Room/Dining Room Combo with CF, Kitchen with New SS Appliances, Track Lighting and Pantry. Master Suite with CF and W/I Closet, and Master Bath with Dual Sinks and Tub/Shower. Downstairs Secondary Bedroom with Bath, Fresh Interior 2-Tone Paint, NEW Carpet and Luxury Vinyl Plank Flooring, Private Rear Yard with Covered Patio and Synthetic Grass, Community Pool & Spa and so much more! *GORGEOUS HOME IN GREEN VALLEY RANCH* HOME FEATURES 2 MASTER BEDROOMS, LOFT, 3 FULL BATHS, GRANITE COUNTERS & SUBWAY TITLE BACKSPLASH IN KITCHEN, SHUTTERS, NEW LIGHTING & CEILING FANS, NEW KITCHEN & BATHROOM HARDWARE, APPLIANCES, WIRED FOR SURROUND SOUND & ALARM, EPOXY FLOOR AND LOFT SHELVING IN GARAGE. HOME IS LOCATED ON A CORNER LOT IN A GATED NEIGHBORHOOD WITH A POOL, SPA, CLUBHOUSE AND BEAUTIFUL LANDSCAPE. BEAUTIFUL 2 BED + DEN, 2 BATH, 2 CAR GARAGE, 1 STORY TOWNHOME IN HIGHLY DESIRABLE GREEN VALLEY RANCH GATED COMMUNITY * KITCHEN W/GRANITE COUNTERTOPS, BREAKFAST BAR & TILE FLOORING * LIVING ROOM W/FIREPLACE * MASTER BEDROOM W/WALK-IN CLOSET & CEILING FAN * INCLUDES PLANTATION SHUTTERS, WATER SOFTENER, WATER FILTRATION SYSTEM & TANKLESS WATER HEATER * CLOSE PROXIMITY TO GREEN VALLEY RANCH CASINO, COMMUNITY PARKS, SHOPPING & DINING *MUST SEE TODAY! *Desirable 3-bedroom townhome in guard-gated development* Separate sitting room off of Master bedroom. Attached 2-car garage, separate laundry room,2 AC units. Walk-in closets & fan lights in all bedrooms. 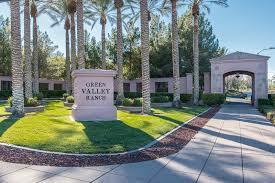 Amenities galore nearby; The District & Green Valley Ranch Resort. 4 bedroom, 2.5 baths home located within a gated community in Henderson... Community Pool! Close to shopping! Simply Amazing! Stunning Turn key condominium in desirable Bella Vista. Across the street from the District and Green Valley Ranch Resort and Casino. Sold fully furnished with luxury appointments. A must see. Remodeled 2 bedroom 2 bath condominium with designer finishes and d xE9;cor. Custom cabinets in kitchen and remodeled bathrooms for the most discriminating buyer. Location-Location-Location...hard to get any better than this in town! FULLY FURNISHED! This condo has served as a 2nd home for the past 10 yrs so it was only lived in a few months of the year. Never a short term rental. Very well taken care of. Wonderful features include: Newer AC unit (important in desert climate), updated stainless steel appliances, quartz counters, under-mount kitchen sink, custom painted cabinets, custom backsplash,and more! INSIDE GATED COMMUNITY OF HENDERSON SINGLE FAMILY HOUSE. 2 BEDROOM, 2.5 BATHROOM, 2 GARAGE. GOOD SCHOOL ZONE AREA HOUSE. CONVENIENT LOCATION.